A strong heart makes for a healthy body. An elliptical trainer keeps the heart healthy by strengthening the heart muscles. Remember, the heart is a muscle and to keep it strong, you need to train the organ to work harder and longer. When you use an elliptical, the heart pumps blood more efficiently. The constant pumping of blood improves circulation. It allows the proper distribution of blood vessels in the muscles so tissues receive oxygen more efficiently too. The constant blood flow also boosts the aerobic metabolism of the body. All these lead to better cardiovascular health! An elliptical machine does more than just help you stay fit. It can stave off unwanted weight for the long term. When you consume more calories than you can afford to burn, the body stores excess calories as fat. The more food you eat, the larger the fat cells expand. Eventually, fat cells cause fatty bulges all over the body. Fat can also coat the organs, inhibiting them from working properly. An elliptical trainer torches fat efficiently. Working out in an elliptical helps eliminate stored fat and reduce body weight. The machine works by allowing the body to burn off stored fat for energy. Eventually, you will start burning off more fat than you take in, leading to effective weight loss! 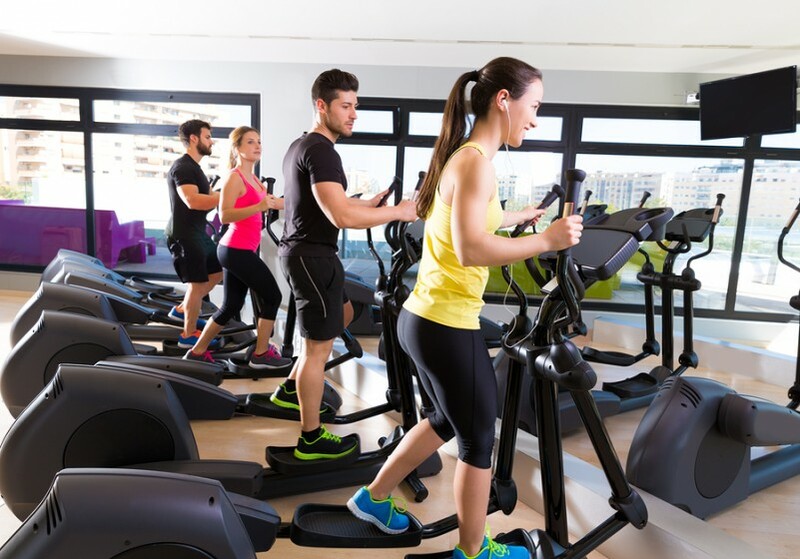 What makes the elliptical trainer unique from other workout machines is that it provides efficient workout without putting too much stress on the knees. Impact in fitness refers to the force generated by an action of the joints. An elliptical machine provides low impact workout because you do not lift the pedals with your knees. You use your hands to work the machine. Compared to walking, running or jogging, an elliptical machine does not cause joint problems. It does not cause foot pain, shin splints, hip pain, and joint pain. This makes the elliptical a great machine for those who suffer from joint problems. An elliptical machine is very versatile. The machine helps reduce weight, tones the muscles and provide efficient workout without joint pain. An elliptical simplifies your fitness routine too. There is no confusion in terms of how to use the machine because it is very easy to operate. It helps that the movements are familiar because the machine emulates natural movements. The familiarity of movements makes the elliptical an ideal workout tool for first-time users. Despite the repeated routine, you can adjust the elliptical to make every workout more challenging than the previous one. The machine presents a wide range of options in terms of speed, and other features. You can also incorporate an elliptical workout with other training programs to achieve even faster results.